When Charles Darwin first explored the Galapagos, he did it by boat. Back then, there was no other choice. 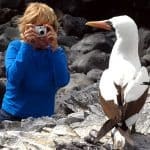 Today, visitors to the Galapagos Islands may enjoy a comfortable stay at a first class hotel while enjoying daily yacht cruises to as many as five islands. 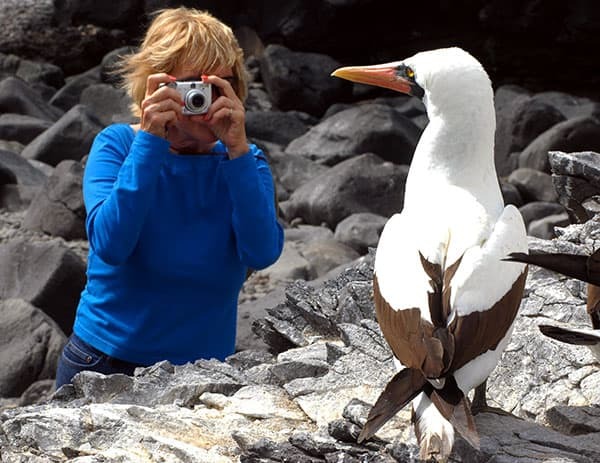 With our very popular hotel-based Galapagos Savvy Explorer you will be on the water only during your day yacht excursions to nearby islands where you will have plenty of opportunities to view exotic animals, enjoy swimming, snorkeling, and nature hikes. During your island-based activities, you will experience an encounter with giant Galapagos Tortoises, wow at the impressive Gemelos (Twins) Craters, and learn about the theory of evolution during your visit to the Charles Darwin Research Station. Arrival transfer to Puerto Ayora with a stop at the Twin Craters volcanic formation. 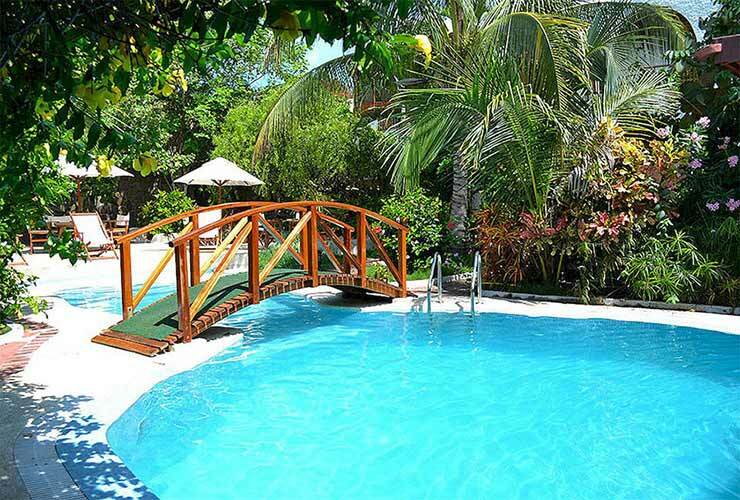 Your choice of: Four (4), Five (5), Six (6), or seven (7) nights A/C first class hotel accommodations in Puerto Ayora, Santa Cruz Island. In addition to your excursions in Santa Cruz Island, you will enjoy Guided Day Yacht Cruises to the Islands of North Seymour, Bartolome, Plazas, Santa Fe, or Isabela. 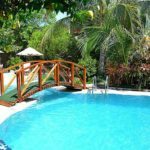 The 4 nights program includes two Islands, with the 5 nights program you will visit three Islands, the 6 nights program features four Islands, and when booking the 7 nights program you will visit five islands. Afternoon visit to the Highlands of Santa Cruz to view the Giant Tortoise and the Lava Tunnels. Additional services available at the hotel: Free Wi-Fi in social areas, Safe Box, Exclusive pool for guests, Water refill station in the hotel reception, Computer use in the social area – library. Welcome drink. Detailed briefing of the tour program on day of arrival. DAY 1 | Mainland Ecuador to the Galapagos Islands | L.D. Welcome to Santa Cruz Island in the Galapagos: On arrival meet and greet service at the Baltra Island airport by your local host. Board the airport shuttle bus for an escorted transfer to the Itabaca Channel (separating Baltra and Santa Cruz Islands) Ferry Pier, where you will board the public ferry boat for a short water transfer to the Santa Cruz Island disembarkation station for a land transfer to Puerto Ayora, where the Silberstein hotel is located. En-route, enjoy a visit the Twin Craters Volcanic formation. Check-in at the hotel, enjoy lunch, and later partake on a visit of the Charles Darwin Research Station. DAY 2 through 7 | Partaking on the Santa Cruz Excursions; a morning visit to Tortuga Bay, and an afternoon visit of the Santa Cruz Highlands. During your stay, you will also enjoy yacht excursions with lunch on board* to the number of islands included in your selected program: Bartolome, North Seymour, Plazas, Santa Fe and Isabela Island. In *Isabela lunch is served at a local restaurant. North Seymour Island Yacht Excursion: This island was formed by an uplift of its rocky lava base beneath the ocean. It is mostly flat and arid, with some vegetation that includes cactus, Palo Santo, and salt bushes. There is a road or circular trail for visitors of approximately 2 km long that crosses the interior and will take you to explore the rocky coast. One of its greatest attractions is to watch the frigate birds with their huge red pouches hanging from their necks. The males inflate their gular pouches when they try to court or draw the attention of a female frigate bird. These birds are also well known for stealing the food from the blue-footed boobies, since the boobies are excellent fishermen and the frigates do not have the ability to dive. For this reason, the frigates in North Seymour depend on the success that the pikemen have in fishing for their own survival. Depending on the time, you will see the comical dance or mating ritual performed by the blue footed boobies. Sometimes the boobies nest right on the hikers trail, so you should be careful and not step on them when you walk around. Up-close, you will be able to see the nests of many of these species, including the gulls, frigates, and yellow trinators. Plaza Island Yacht Excursion: “Plazas Norte” is known for its scientific research, while the southern island is one of the smallest but most diverse islands in the archipelago. Only 130 mts. wide, it was formed by the pressure of the tectonic plates found in the Galapagos. The turquoise waters of the canal contrast brilliantly with the white sand and black lava of the coast. The rocks have formed thin with some cactus around, highlighted by the colorful zayapas crabs. The path gradually continues to the highest part of the island towards the ravines that allow you to observe the ocean to the south where the swallow-tailed gulls nest. Tropical birds, Nazca boobies, and blue-footed boobies follow the currents of the wind. This place is famous for having one of the largest colonies of land iguanas, and a species resulting from the crossing of terrestrial iguana females and marine iguana males that is the hybrid iguana, unique in Galapagos. Santa Fe Island Yacht Excursion: With 24 sq. kms. and 60 meters above sea level, it is an almost central island being an incredible place to visit with its bay of turquoise water, protected by a natural barrier of rocks on which you can see colonies of sea lions and sparrow hawks flying over. It is home to one of the two species of land iguanas in the islands, its main foods are the leaves and fruits of the large and thick cactus. Crabs, night herons, sea iguanas, mockingbirds, land pigeons, and the Galápagos sparrow hawk are frequently seen. The bay in all its length and width is an excellent place to swim and snorkel with sea turtles, rays, wolves, and different fish in the crystal clear and warm waters. Another attraction is the presence of giant tunas, which have a wider trunk than on any other island. Isabela Island Yacht Excursion – Tintoreras Bay. 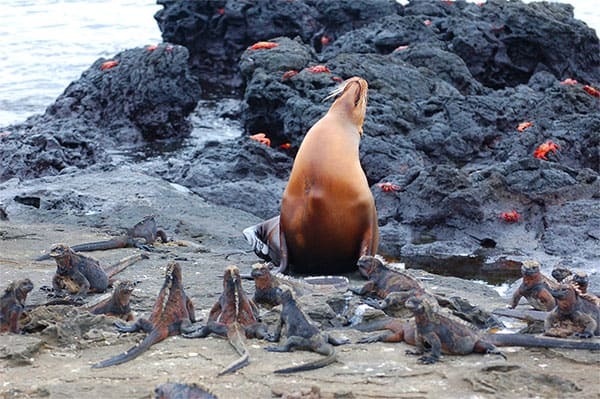 This incredible island is the largest of the Galapagos Islands. It was named in honor of Queen Isabella I of Castile. In the very early morning, you will leave from Santa Cruz to Isabela Island. 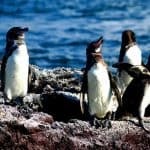 Once you arrive you will visit Tintoreras Bay on a 30-minute tour where you will observe blue footed boobies, sea lions, and penguins. Within this tour you can visit the wetlands consisting of a complex of trails and lagoons to observe the four species of mangroves, lava formations and various birds such as flamingos, curlews and more. 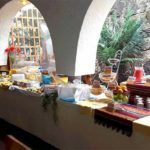 After visiting these places, you will go to a restaurant to taste a delicious lunch. In the afternoon, the tour continues with a visit to Tintoreras Islet which is located south of the town of Puerto Villamil, here you can go snorkeling. 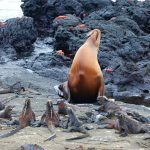 In the middle of a bay of calm turquoise waters, you can see sea lions, sea turtles, marine iguanas, and rays among others. There is also a crack where you can observe blue sharks. The return to Santa Cruz is approximately at 5:30 PM. 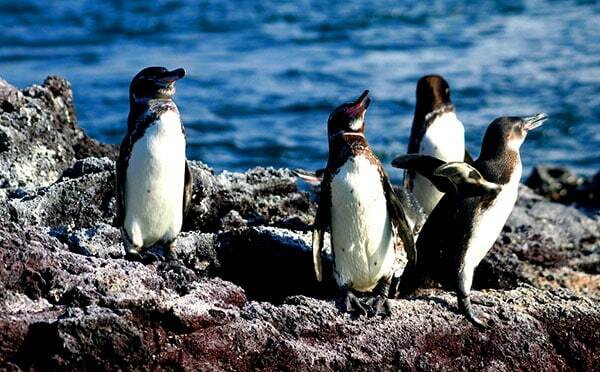 DAYS 5, 6, 7 or 8 | End of Your Selected Galapagos Program / Santa Cruz / Baltra Island Airport to Guayaquil or Quito | B. Family Plan Rates apply to up to 2 children up to 11 years old, sharing accommodations with two adults and using existing beds. Passport must be presented at check-in. 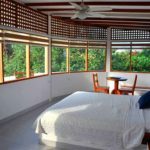 In Galapagos Islands – Santa Cruz: Hotel Silberstein. 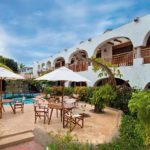 Located in Puerto Ayora on the Island of Santa Cruz, Silberstein Hotel is just a five minute walk from the Charles Darwin Research Station. 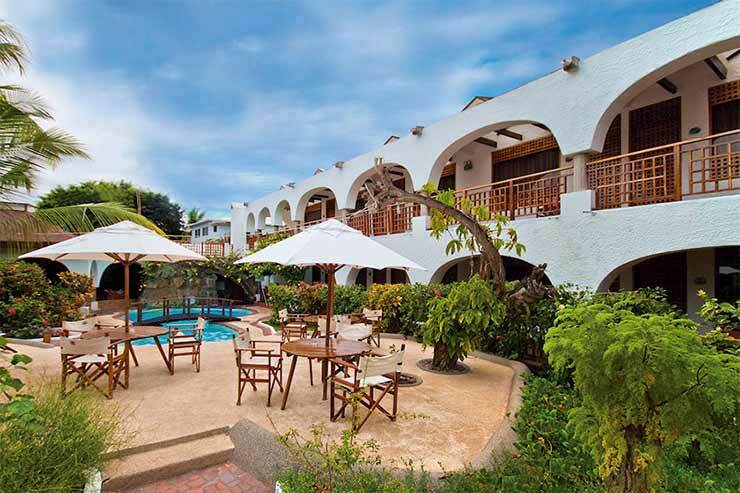 With 24 rooms, standard amenities and an unforgettable dining experience, the Silberstein Hotel is a great option for visitors to Galapagos who prefer enjoying daily navigations to the different islands, or are looking for the one-of-a-kind Galapagos diving experiences. 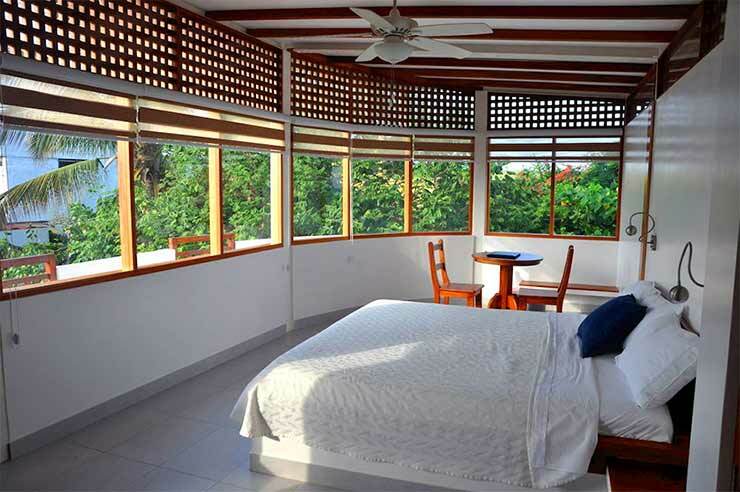 All the rooms feature with free Wi-Fi, air-conditioning, ceiling fans and seating areas. 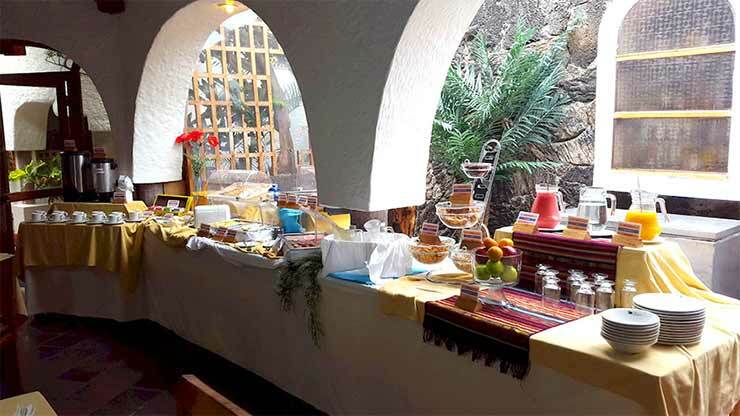 While at Silberstein Hotel enjoy the best of the Ecuadorian Gastronomy as well as international cuisine at the Aqua Restaurant. The waterfall in the swimming pool provides the perfect setting to sip a cocktail while relaxing in the sun after a day exploring the amazing Galapagos Islands. 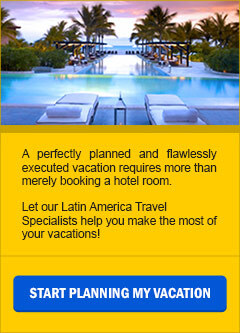 Reservation: A $900.00 deposit per person is required to activate and process your reservation.